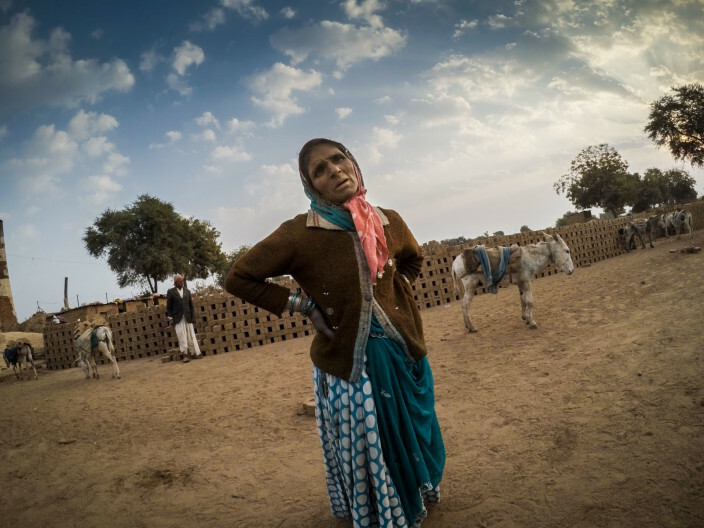 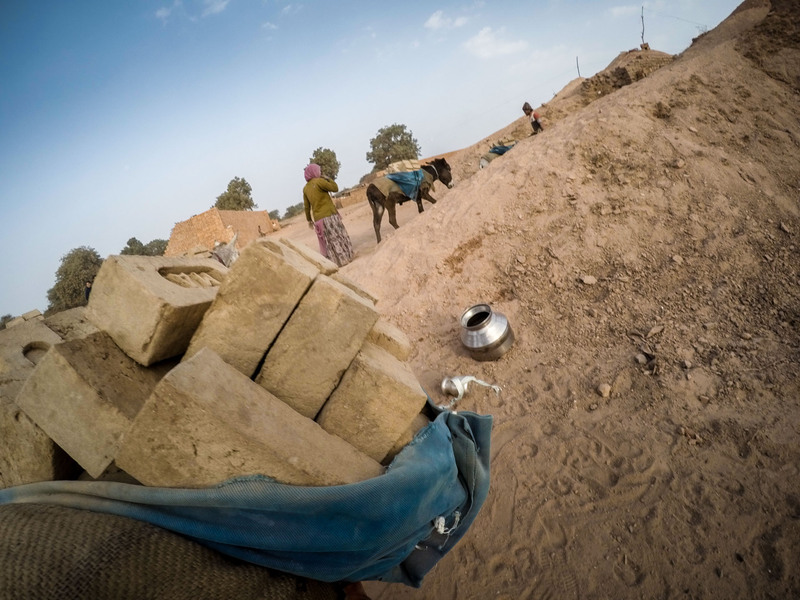 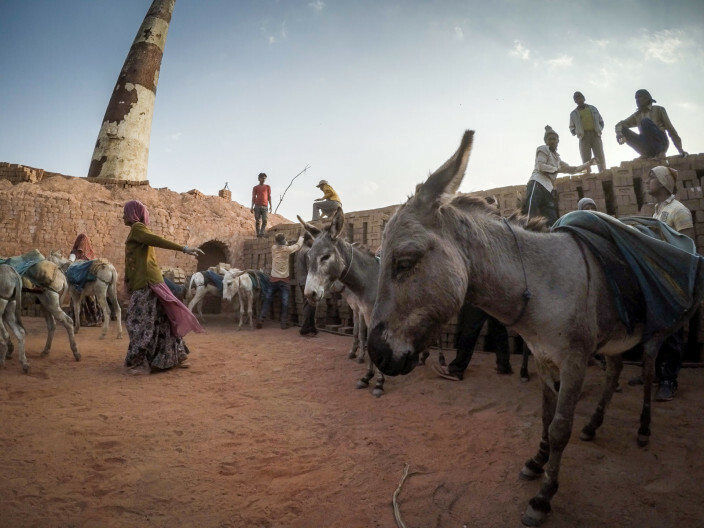 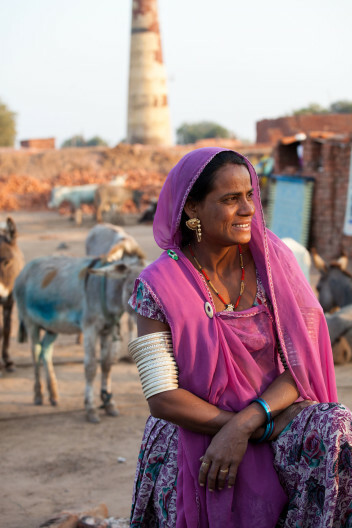 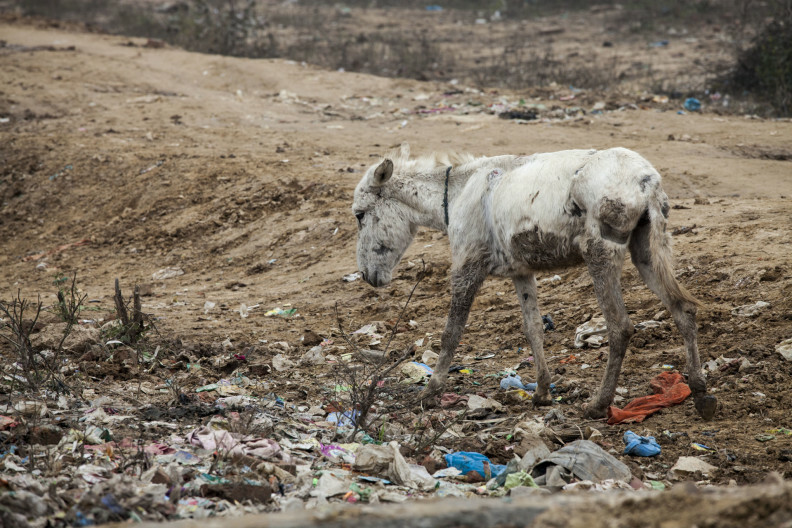 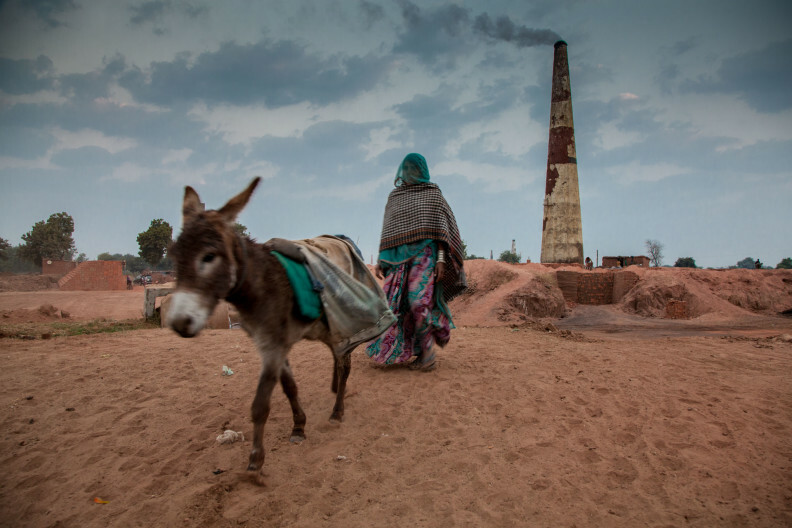 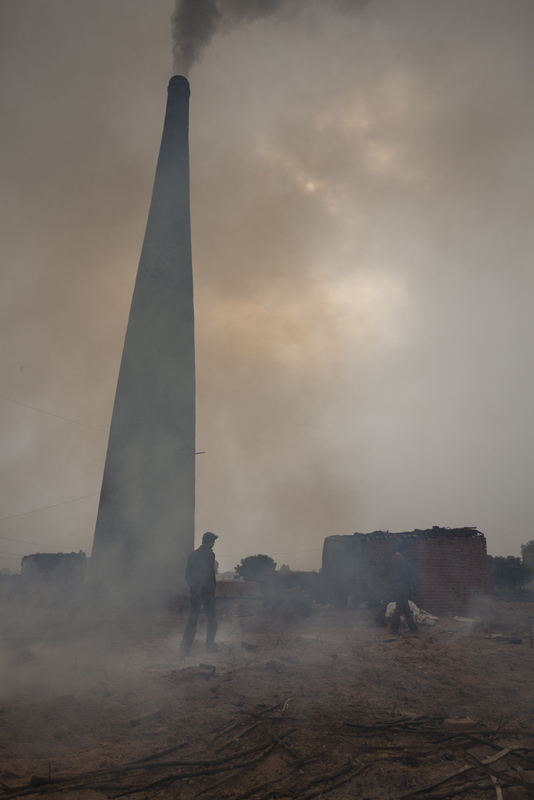 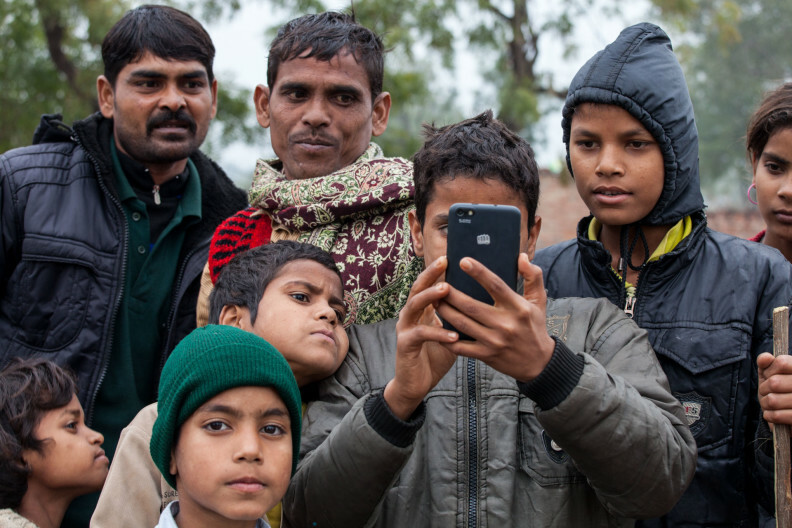 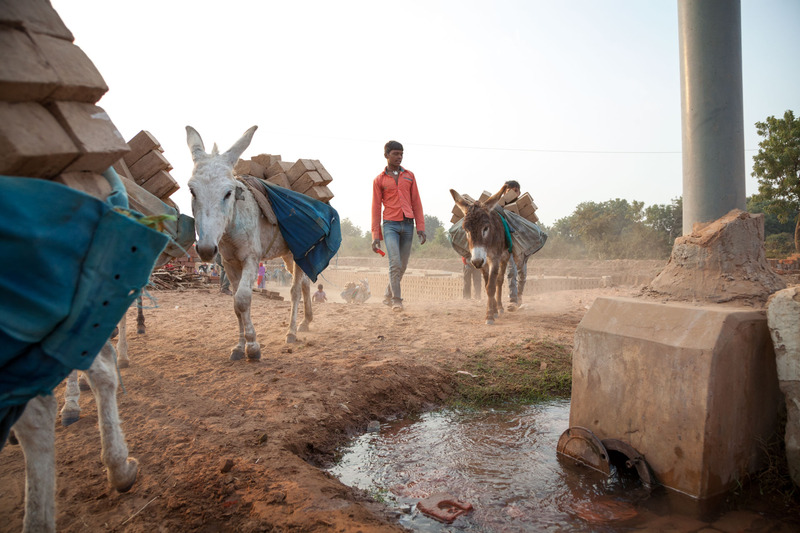 For donkeys as well as people, the brick kilns in India are dangerous and unhealthy places to work – but unemployment is worse. 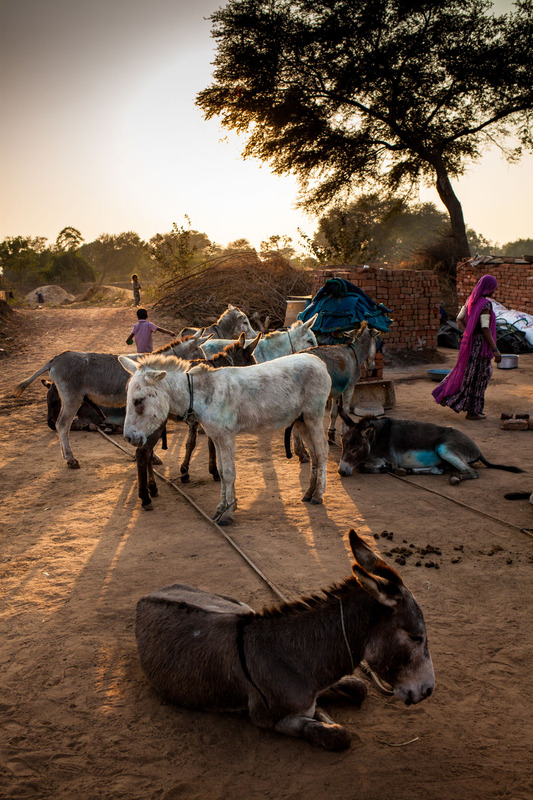 At the RAJ kiln near Agra, accommodation for donkeys and their owners lies empty. 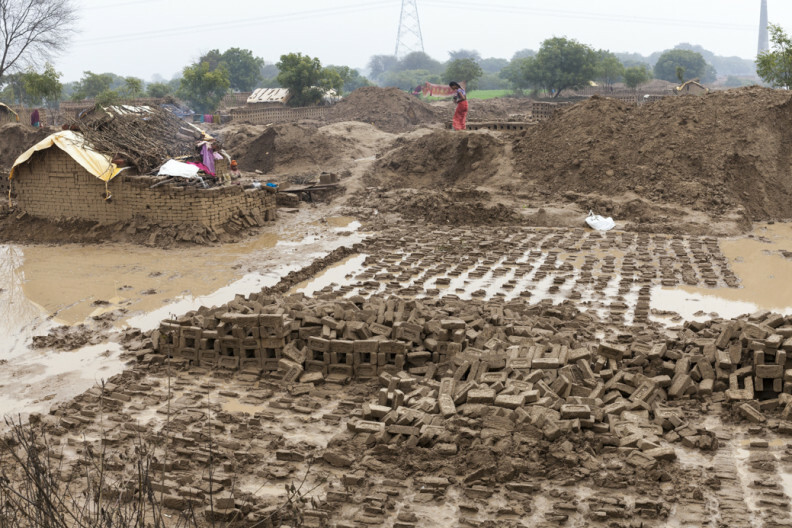 Unseasonal rains have waterlogged the brick kilns and there’s no work for them here. 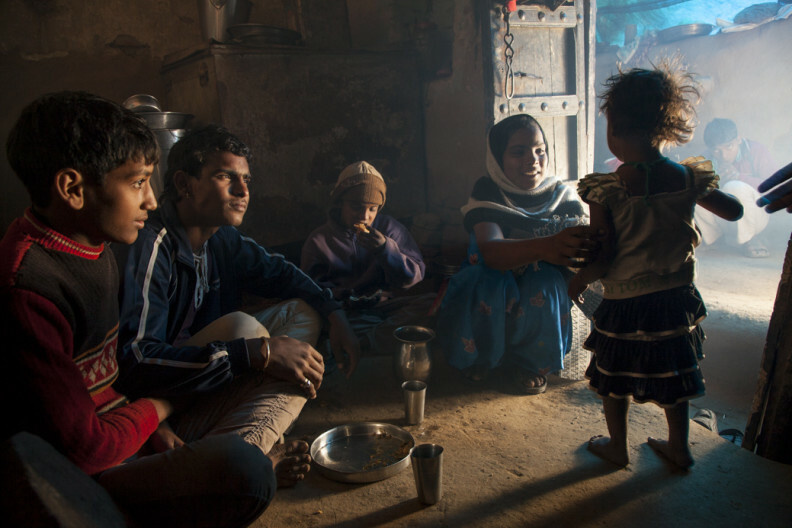 Back in the home village of Madhupur, 16-year old Archang wakes early to begin looking after the unemployed men of her family. The family have to feed themselves and their donkeys, whether or not they’re earning. 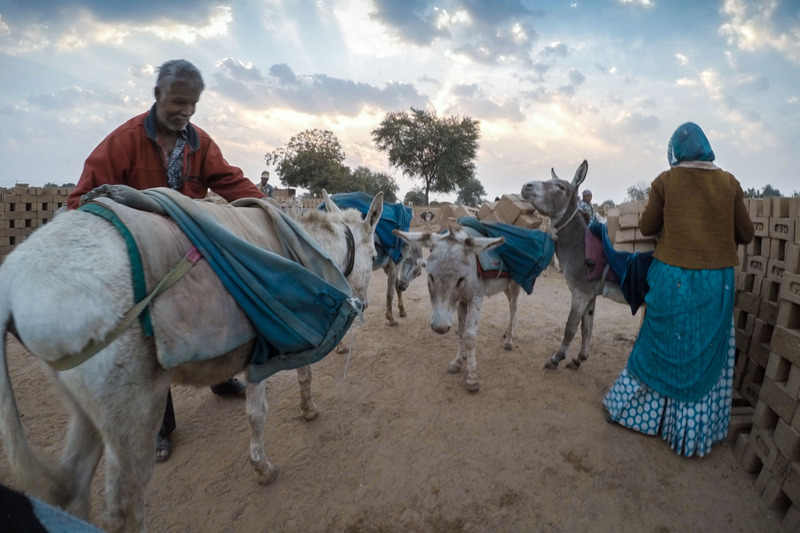 Families who also own a cart can occasionally earn some money hauling a load. But most of the men and their animals will be out of work until the kilns dry out again. 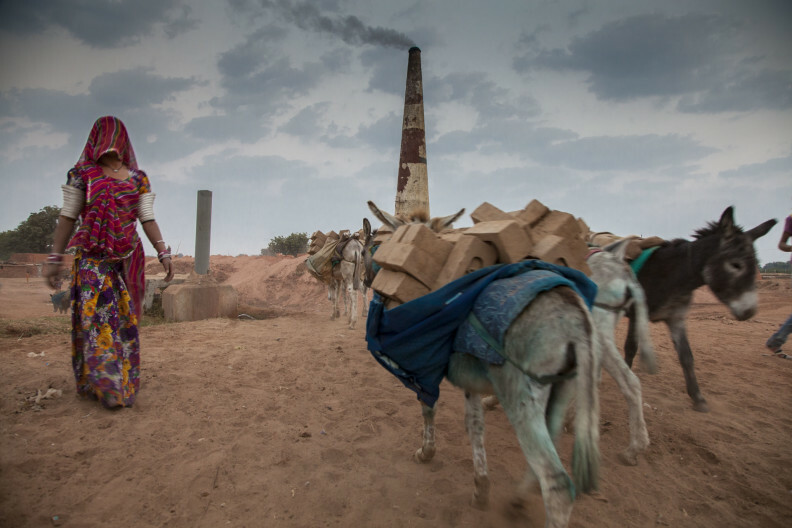 Climate change makes life more precarious. 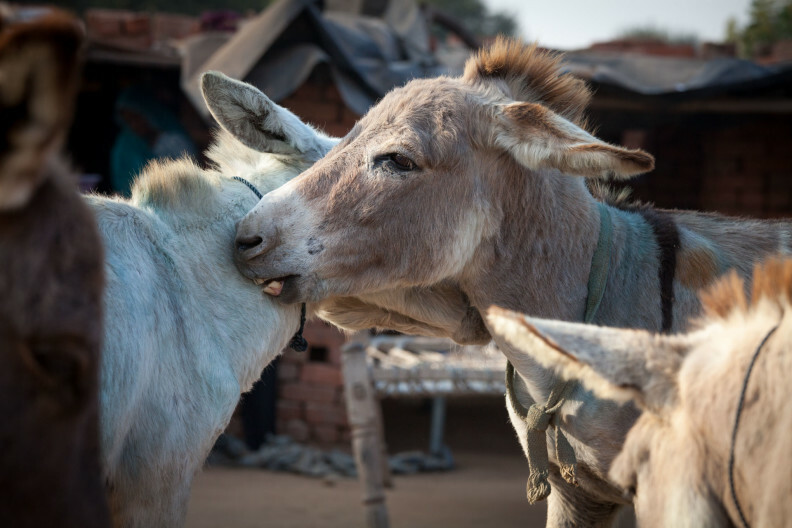 Donkey owners – problem or solution? 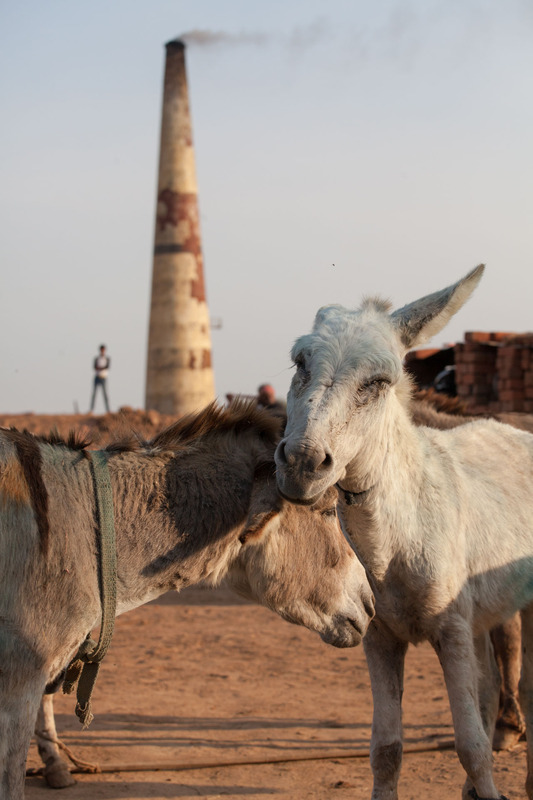 Itinerant donkey owners working in Gujarat’s brick kilns spend 24 hours a day with their donkeys. 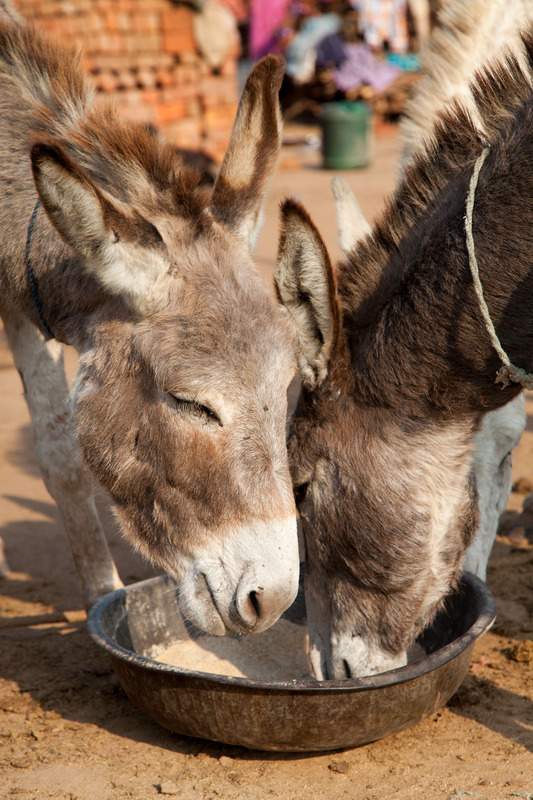 They live, work, play and abide together. 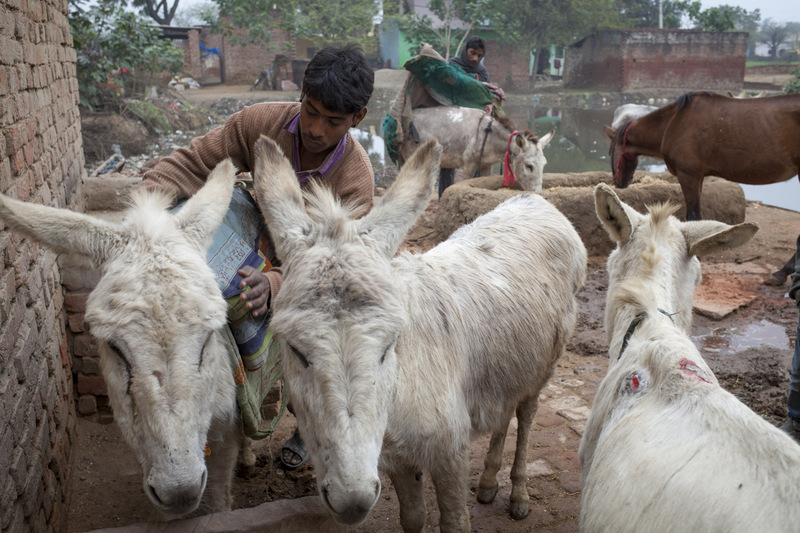 The donkeys’ welfare is entirely in the people’s hands. 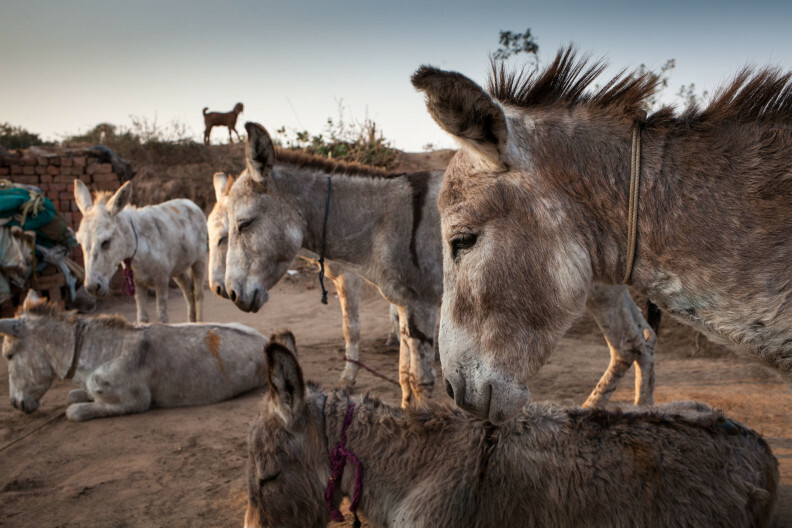 So who are they, and how do they live alongside their animals? 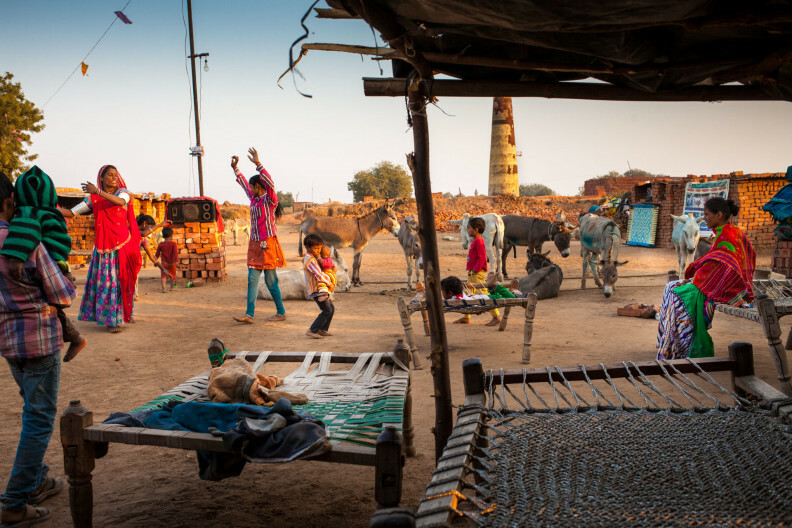 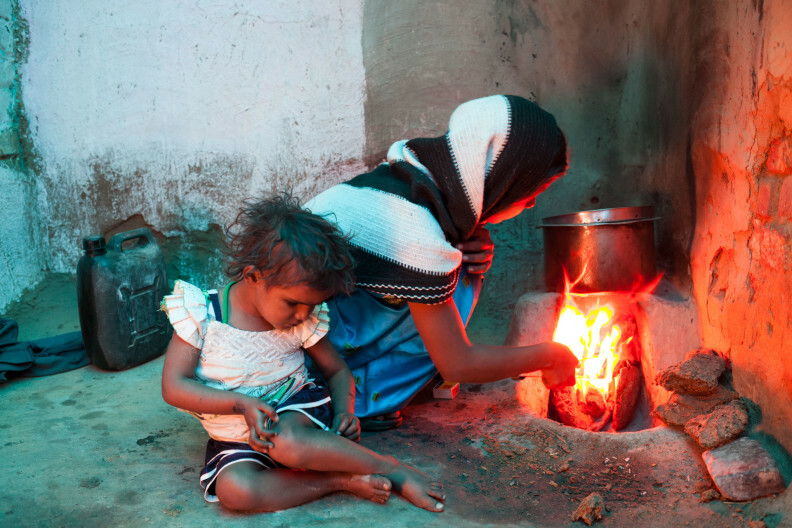 I hope these photographs from MA Ambapur kiln near Ahmedabad will help show how these two societies live together. 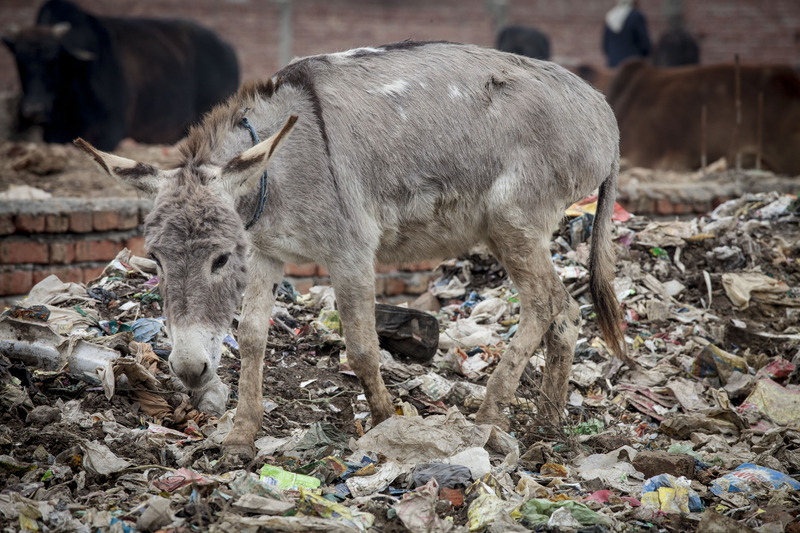 In the UK the word ‘grazing’ brings to mind lush green fields. 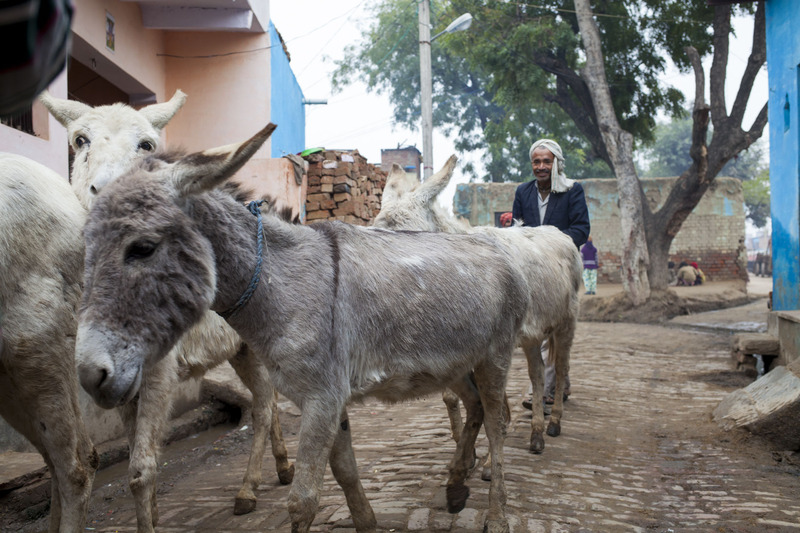 In Madhupur village near Agra we followed donkey owner Daudayal as he took his family’s donkeys to the only grazing available to them. 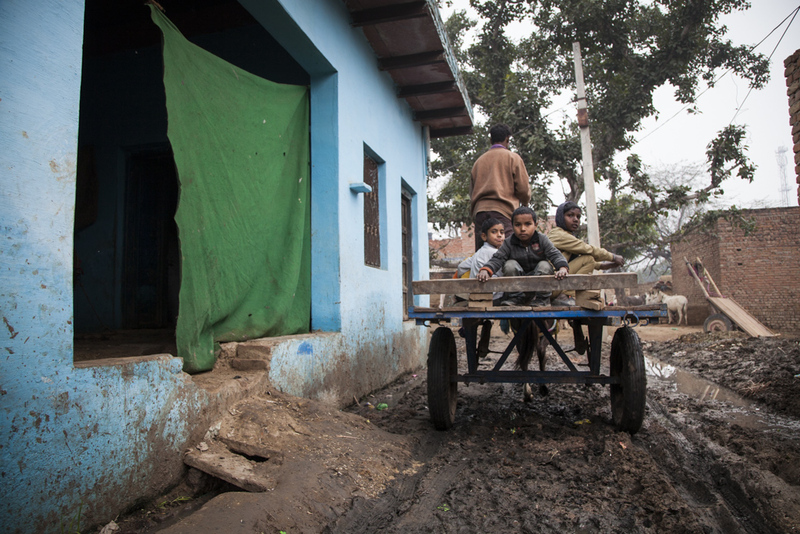 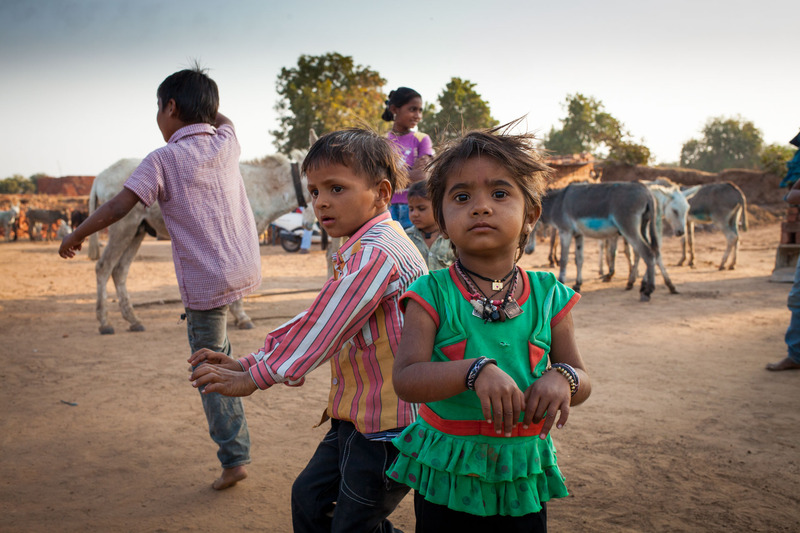 The land doubles as a latrine for the entire village, which lacks basic sanitation. 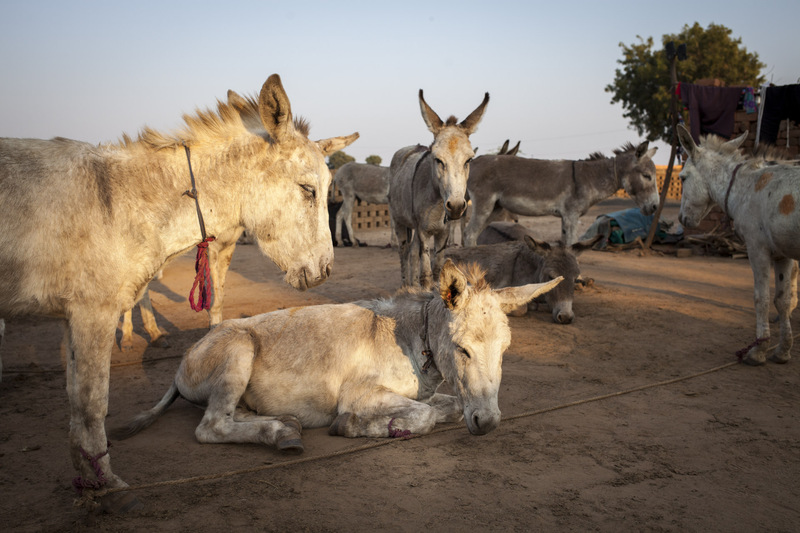 In the UK animal traction and haulage are things of the past – relegated to the heritage industry. In India draft animals play a key role in the modern economy. 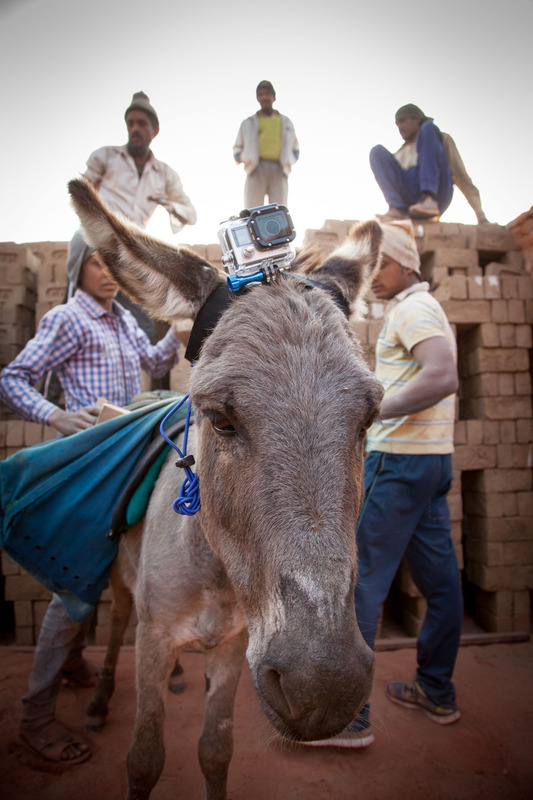 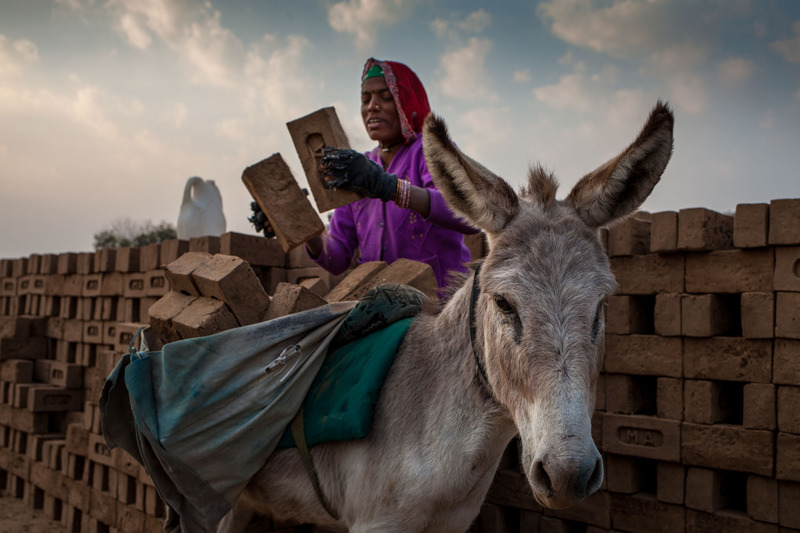 Aside from their use in agriculture, donkeys and mules are essential to the construction industry. 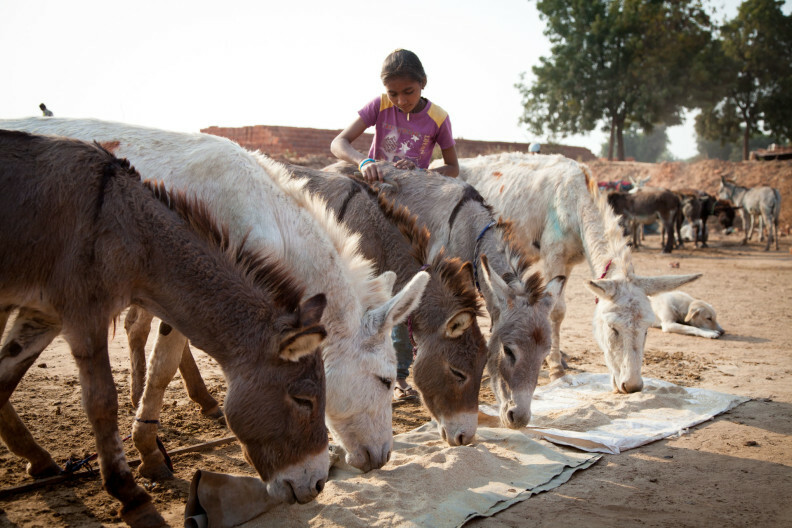 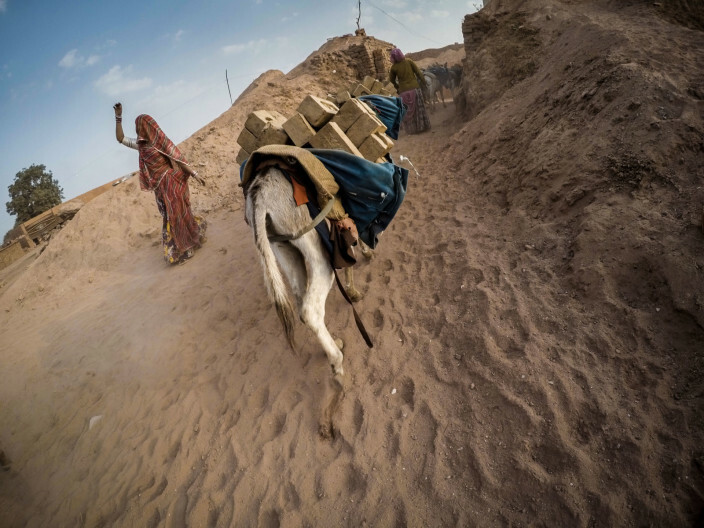 The livelihoods of many thousands of marginalised families are reliant on the welfare and efficient functioning of their teams of donkeys and mules. 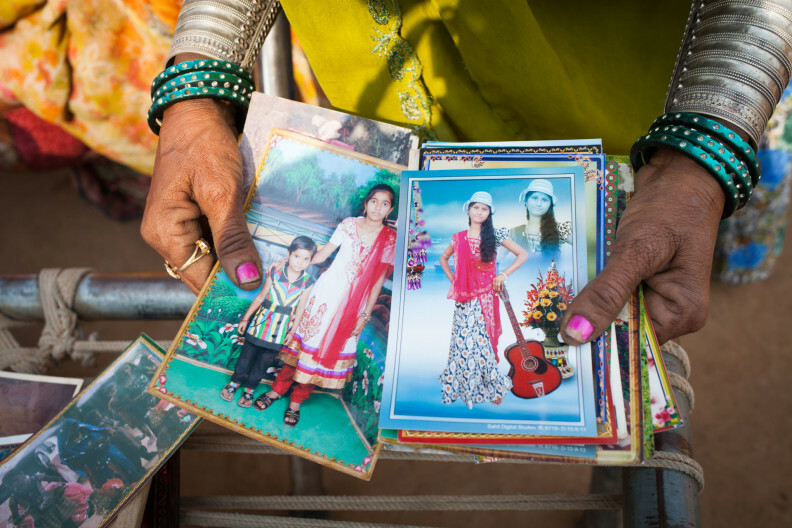 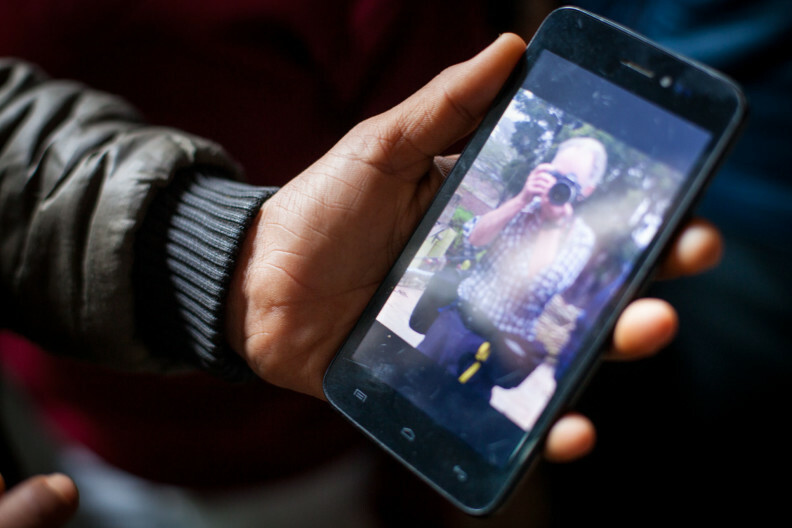 These photo stories take a look at this industry. India is experiencing a building boom to cope with its rapid urbanisation. 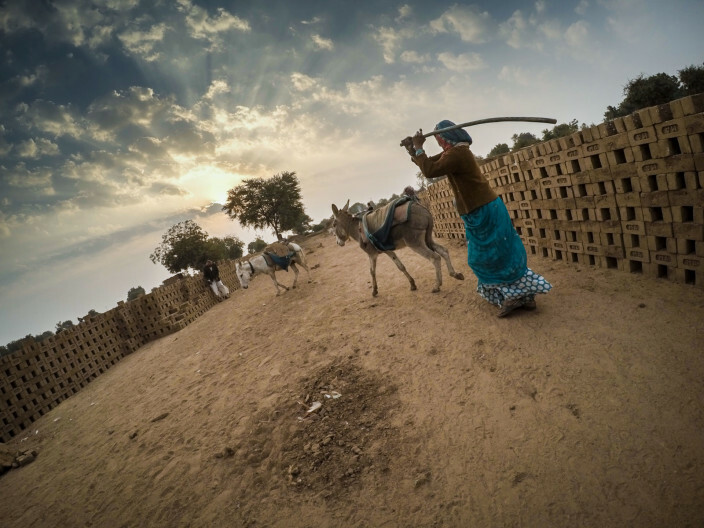 Thousands of concrete-frame high rise blocks, with brick infill, can be seen rising up around Delhi and Mumbai. Almost every one of the millions of bricks involved has been transported by donkey or mule at the brick kilns where they are made. So how does it work? 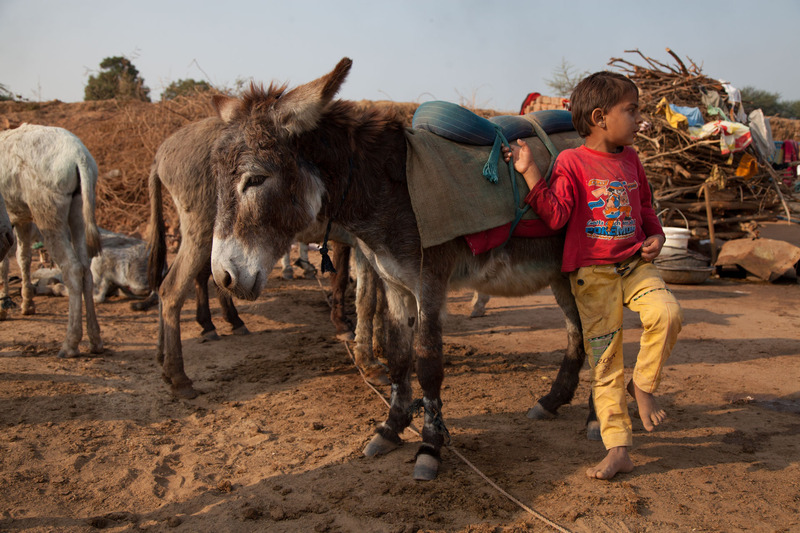 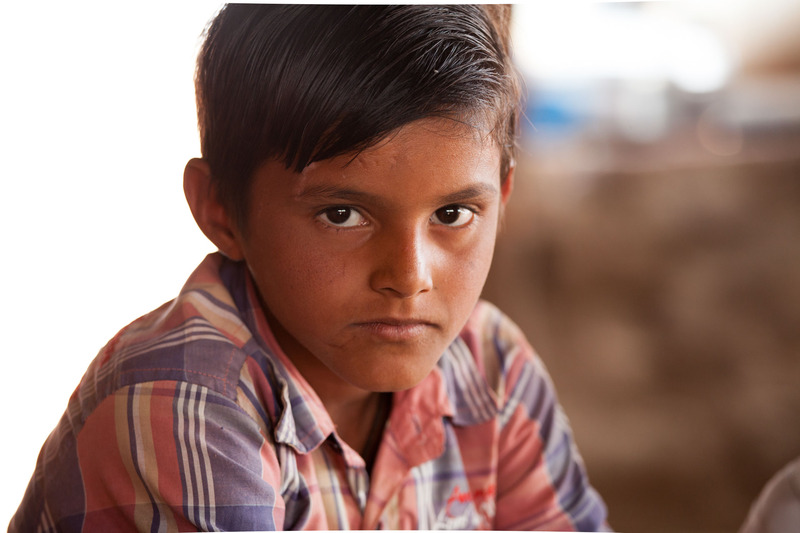 This is Arjun, he is a 12 year old boy working as a donkey driver in the MA Ambabpur brick kiln near Ahmedabad in Gujarat, India. 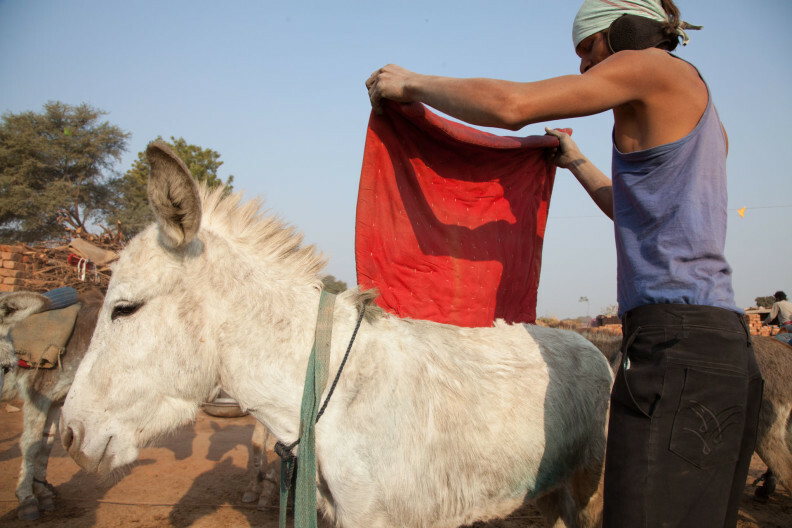 This story will tell you about how he spends his day. 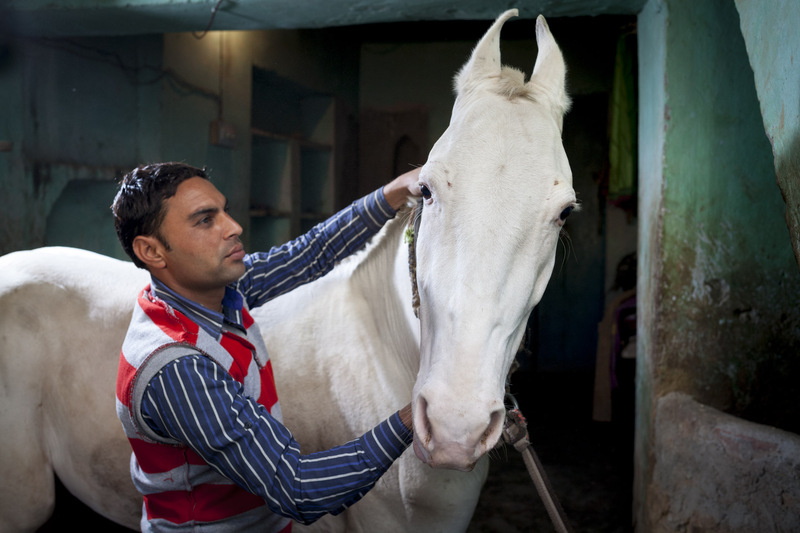 This is a male horse with his owner Rohtas. They work in a brick kiln. They both live in a house with plastered and painted walls and electric light. 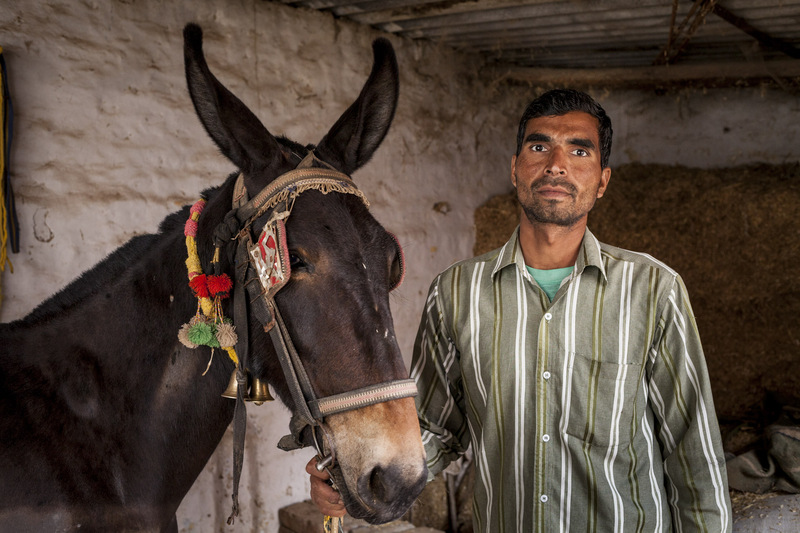 This is a mule with his owner Vedpas. 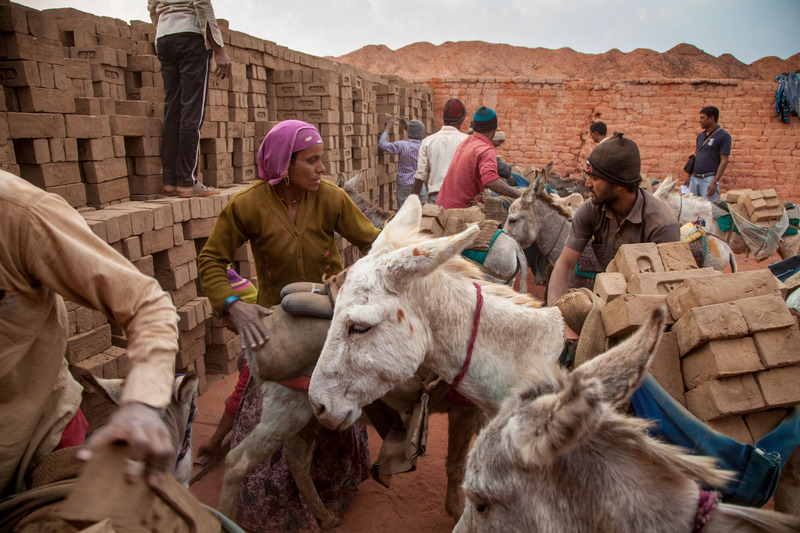 They also work at the brick kiln. 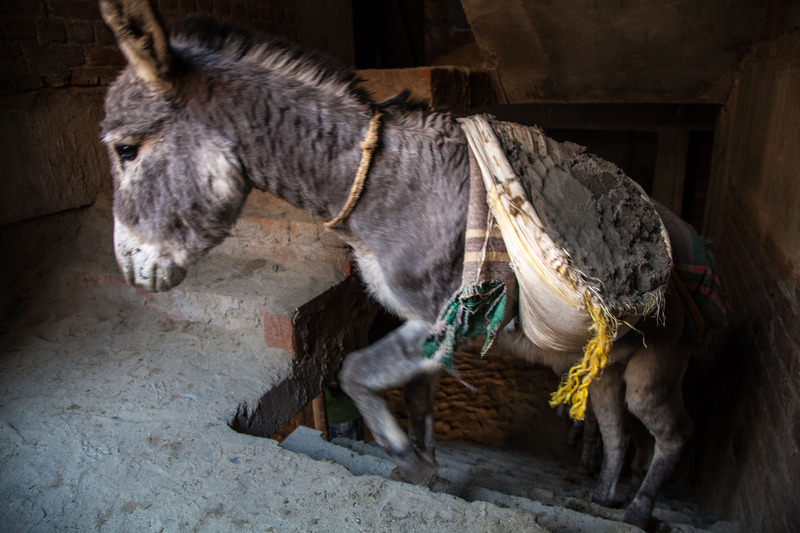 The mule also has a nice bedroom, though not quite as nice as the horse’s bedroom. 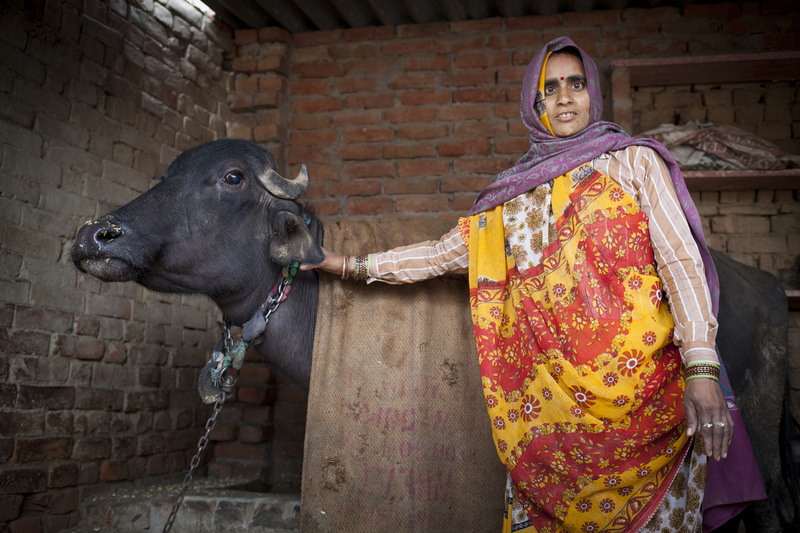 This is a buffalo with her owner Annar Devi. 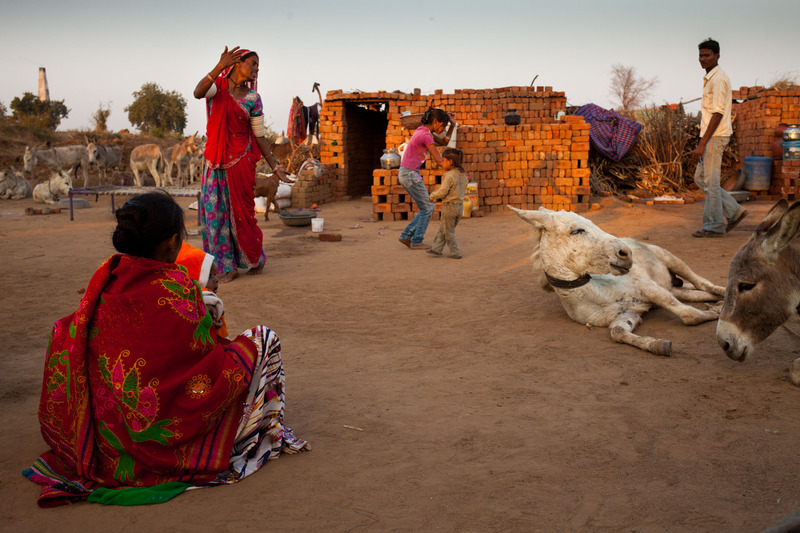 The buffalo has a bedroom, though its not painted, has no electric light and is open on one side. 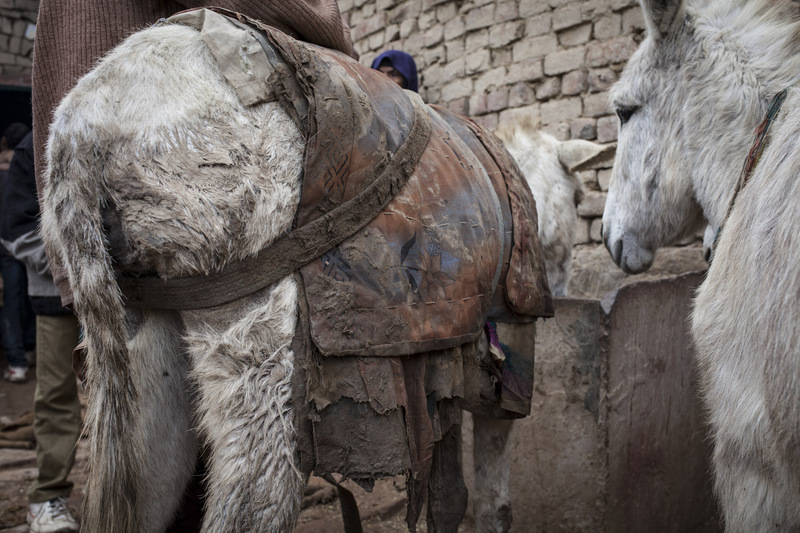 She has a sacking blanket to keep her warm. 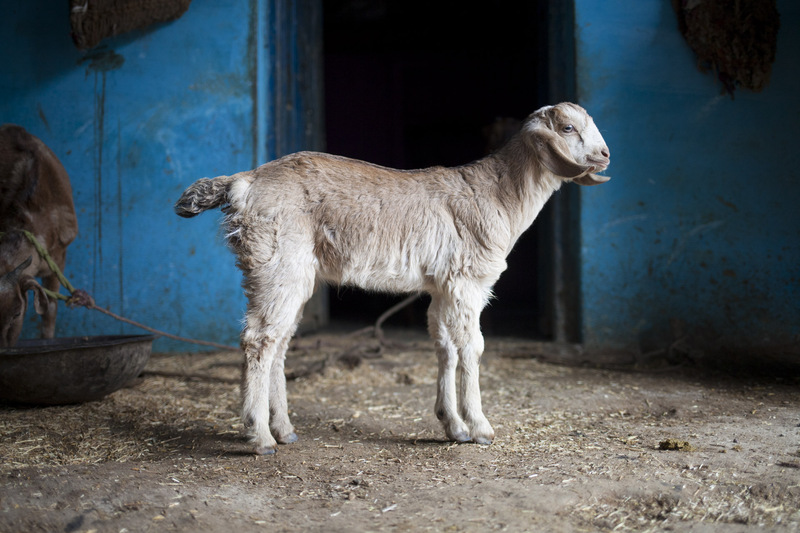 This is a goat, Somehow it seems to have got a plastered and painted bedroom. 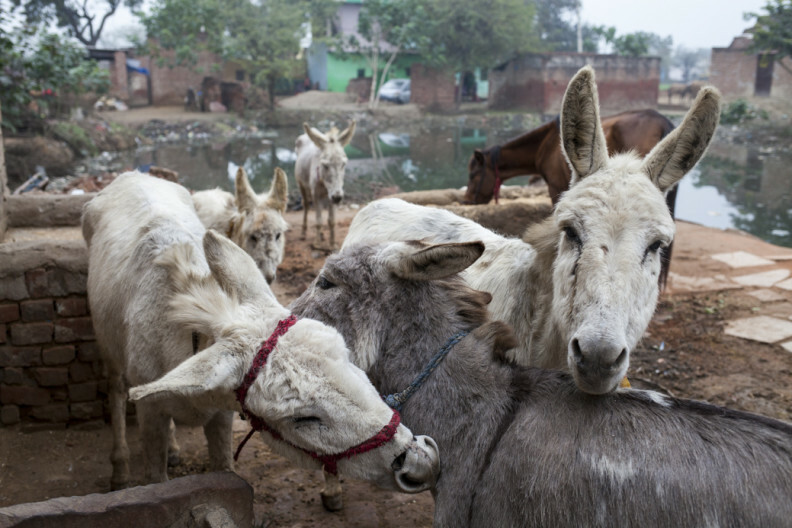 These are donkeys with their owner Harish. 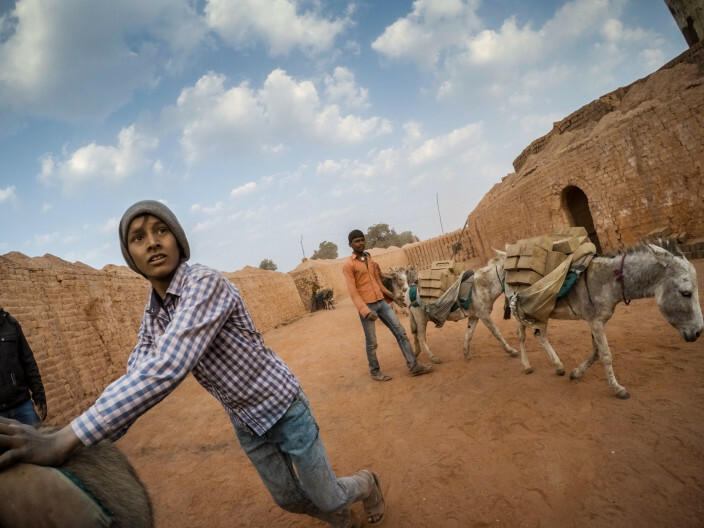 They all work in a brick kiln with Harish. 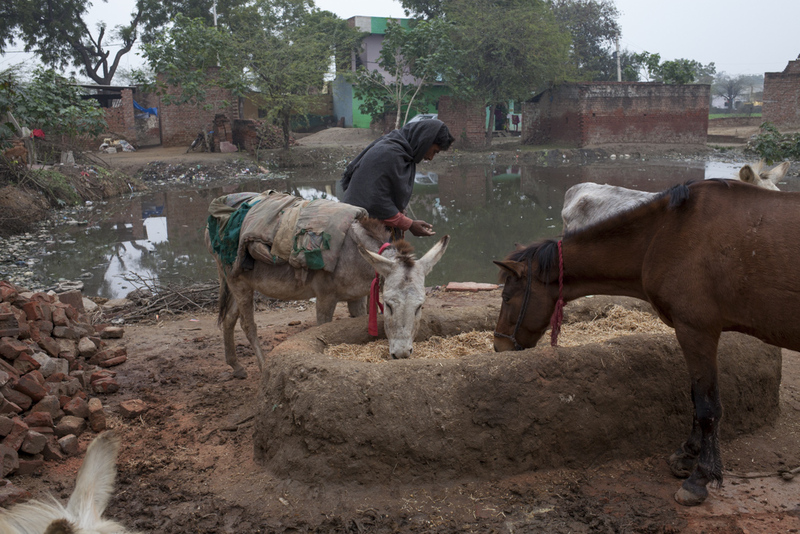 They sleep outside in the rain. Harish puts their pack saddles on in the evening to keep them warm, and to stop the crows from pecking at the saddle wounds on their backs. 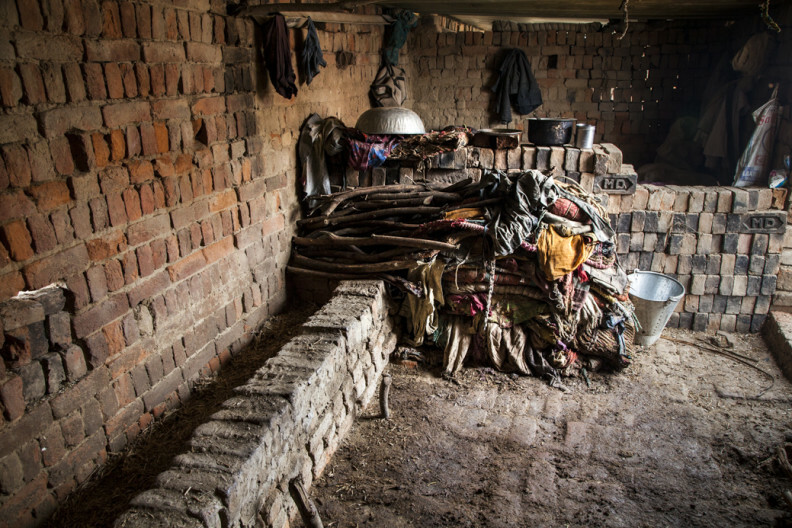 This is the bedroom of Harish’s older brother Mahender – standing on the left. 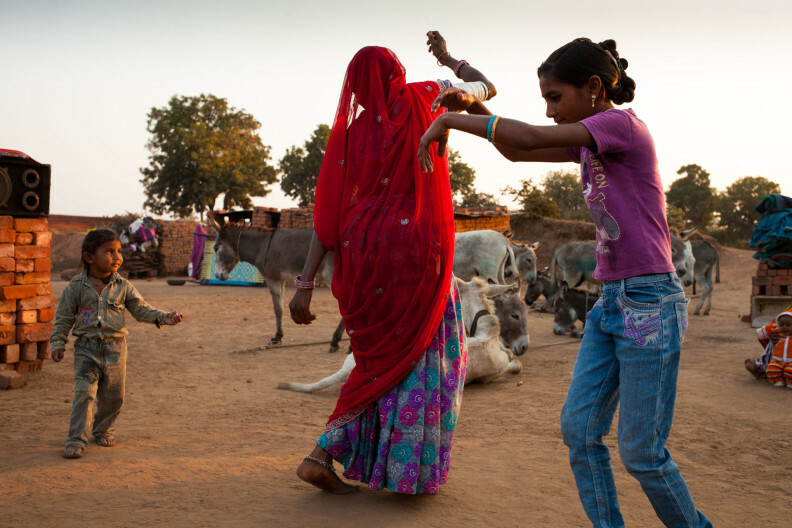 Mahender made a good marriage with a good dowry. 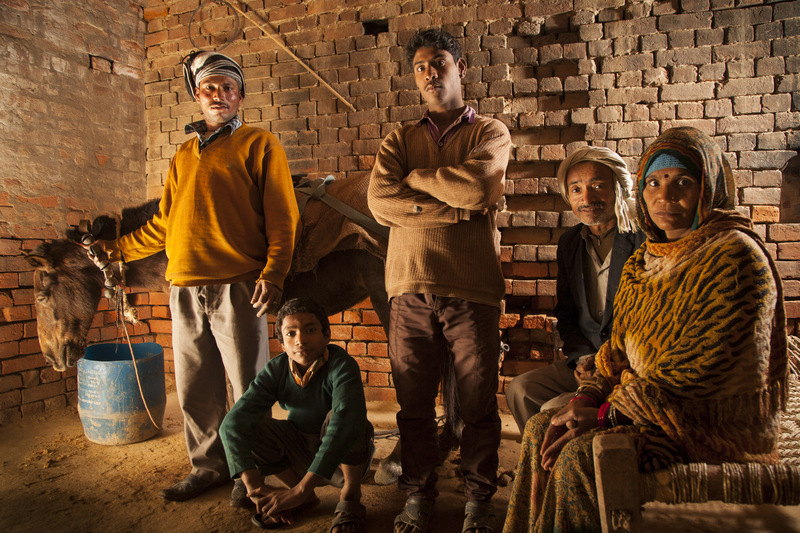 The room is plastered and painted and has electricity. 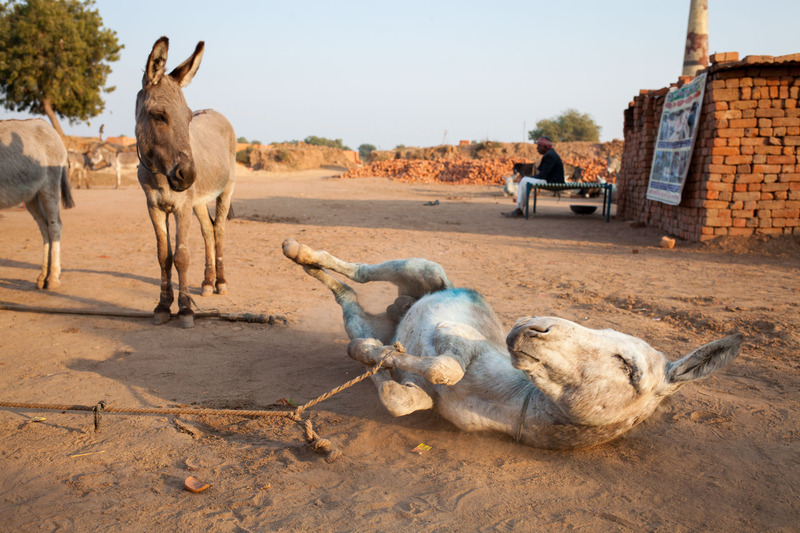 This is the bedroom at the back of the house where their parents (on the right) and Mahender’s mule sleep. 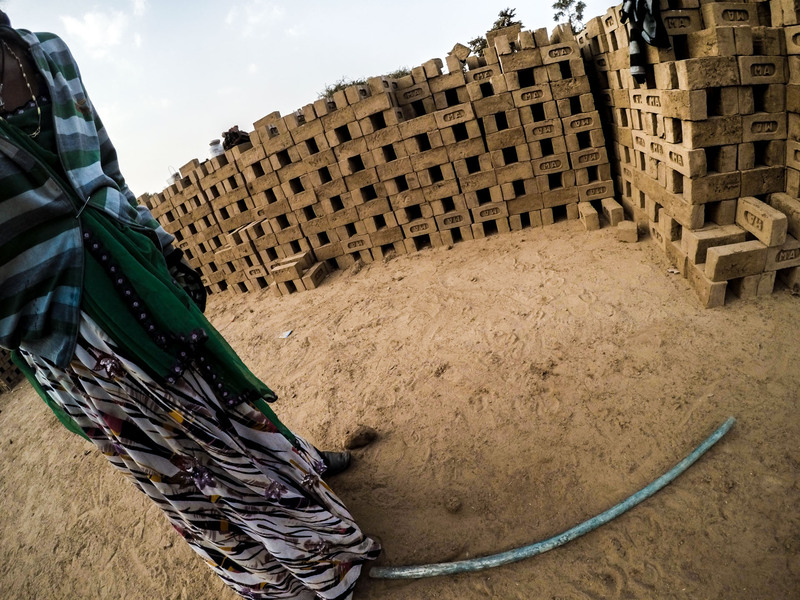 It’s made of brick but it’s not plastered or painted and it doesn’t have electricity. 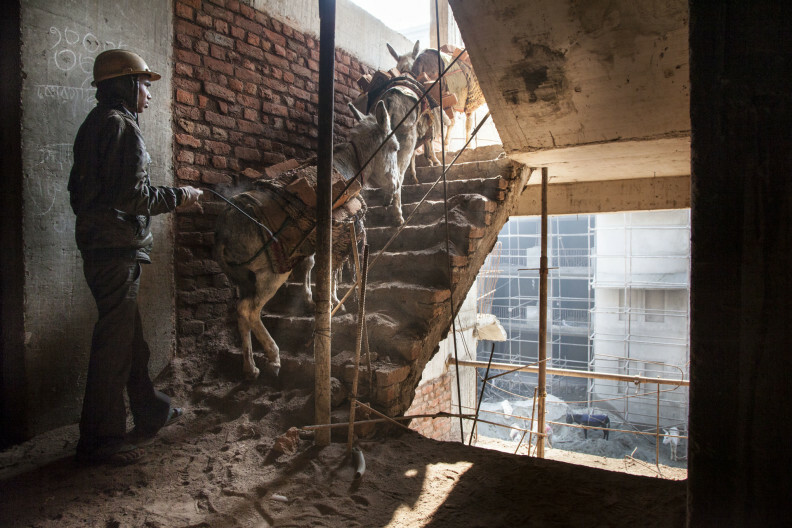 Gurgaon, a city outside Delhi, India, is undergoing a boom in construction fuelled by the new Metro link and Delhi’s need for young professionals. Almost every brick in the country has been carried by donkeys during its manufacture. 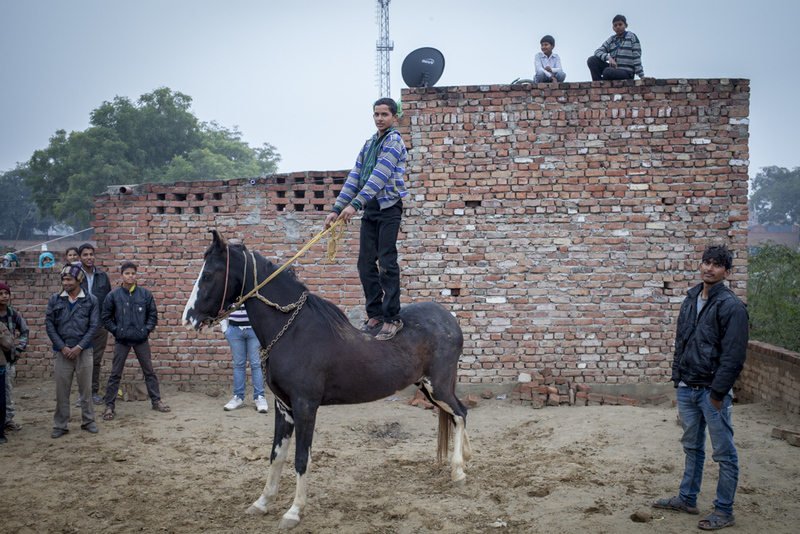 In Gurgaon they also work in lieu of cranes.